MusicRow sends condolences to Linda Davis, her husband Lang Scott, and daughters Hillary Scott and Rylee Scott on the passing of Linda’s mother last week. Lois “Onita” Davis died July 14 in Carthage, Texas. She was 80 years old and her family describes her as a wonderful homemaker and devoted mother to three children, including Linda, daughter Vernell Owen (husband Jimmy), and son Troy “Tator” Davis (wife Sonya). Davis spent many years working in the local school cafeteria and was a longtime member of Carthage Missionary Baptist Church. The funeral was held yesterday (7/17) in Carthage. 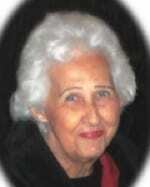 The family request memorials be made to Heartsway Hospice, 437 W. Panola, Carthage, Texas 75633. Lady Antebellum postponed its concert on Friday, July 15 in Toledo, OH, and resumed the tour Saturday, July 16 in Sarnia, Ontario as planned.